Happy New Year – and my first 365 days on this site! I hope 2013 has been off to a good start for all of you! I suddenly realized that today it’s been exactly one year since I created this blog, and during that year you’ve been treated to my very personal views on a lot of different musical topics, a diverse group of singers – and a couple of other subjects squeezed in between! Therefore I will look into the music and career of a great singer whom I’m sure a lot of people don’t remember these days; the great Toni Arden! She passed away in May last year at the age of 88. A very fitting title! 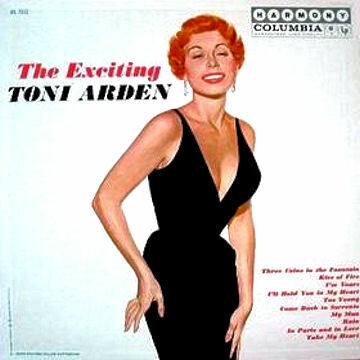 Toni Arden was an incredibly exciting and very versatile singer! Toni Arden was born in 1924, her birth name Antoinette Ardizzone conjures up images of both France and Italy, and she later recorded in both languages. Starting out in the late 1940’s, Miss Arden was yet another traditional pop singer – but she had her very own personal way of making every song she sang totally unique! April 2013 will mark the 100th anniversary of the birth of another great singer – Frances Langford! She was maybe the most versatile of all the girl singers who appeared on the scene during the 1930’s. 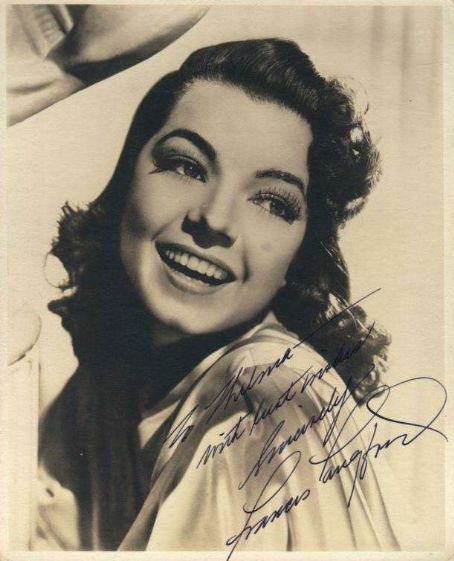 Frances was a recording star, a radio star, a movie actress and one of the biggest attractions of the 30’s and 40’s! During WWII she endlessly entertained soldiers both in the US and abroad, and she is fondly remembered even to this day for her efforts during the war. Thanks to labels like Jasmin and Flare – most of Miss Langfords recordings are now once again available – and they show a truly versatile singer doing an incredible amount of great music! 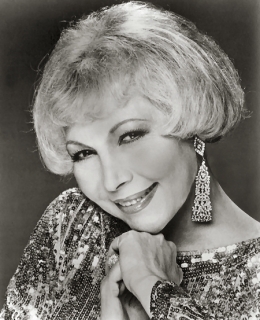 She made her last studio recordings in the late 1960’s, but lived to the age of 92 – she died in 2005. 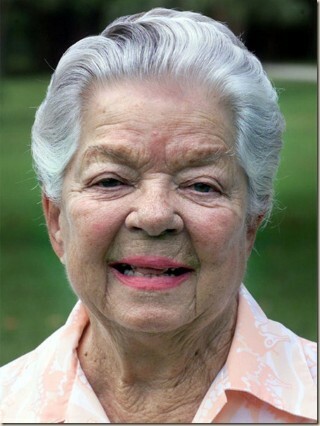 Frances Langford in the early 2000’s. Approaching her 90th birthday, she was still a sweetheart! A closer look into the music and careers of both these singers will be posted in the near future! So stay with me this year as well!